My wife and I were Prius owners, but our 2006 car was beginning to show its age, and in January of 2015 we began to look at our options. 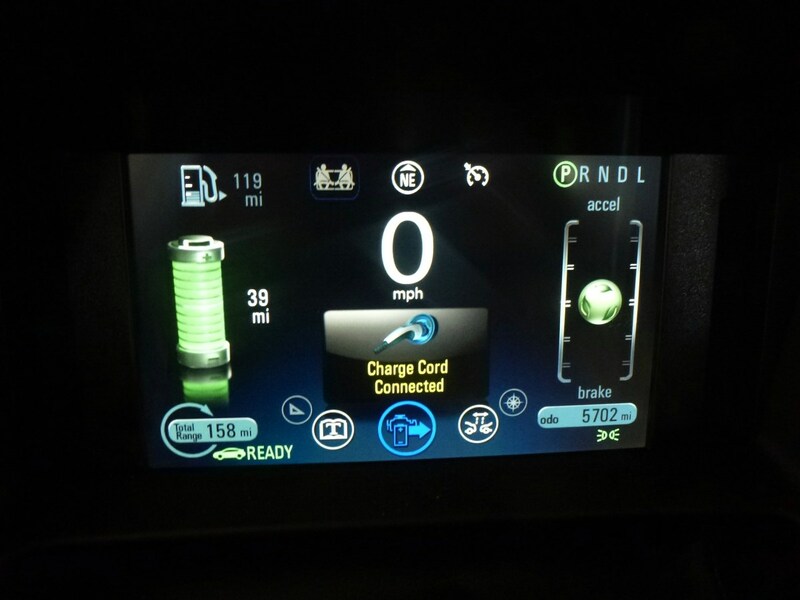 The Volt seemed like a possible answer, and with that in mind, we visited several showrooms to see what it was all about. While styling is a very personal matter, we found that we liked what we saw. 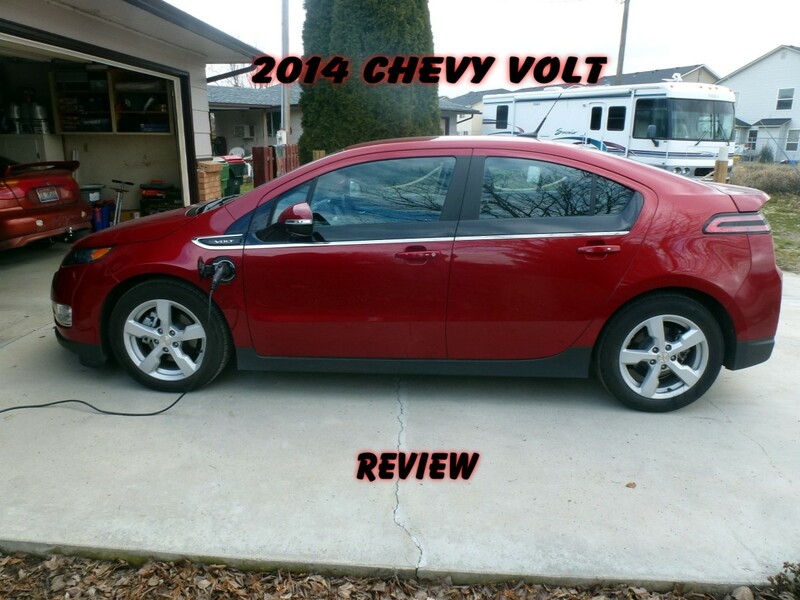 The Volt is a hatchback with the expected "trunk" space, but it is smaller than what we were used to, and we questioned whether it would be sufficient for our purposes. A wide black stripe runs just under the side window, giving a two-tone paint feeling, and we particularly liked that the stripe continued up onto the exterior rearview mirror. Most Volts we looked at had painted aluminum wheels rather than the higher-cost polished aluminum, but we had no objections to the painted wheels. The overall body shape is neither boxy nor excessively curved, but rather a pleasing combination of both. On the inside, we again liked what we saw. We found the optional leather seats superior to cloth and decided that they would be necessary. A leather-wrapped steering wheel comes with the leather seats, and we felt that added value as well. 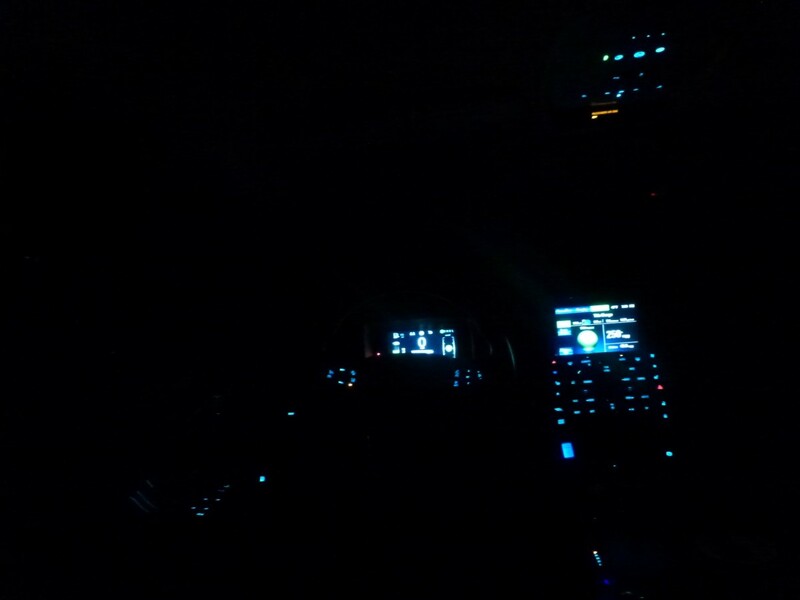 The switches on the main center console are the capacitance type, with no moving parts, and while some people don't like them, I'm rather a technology geek and appreciated the "techie" feel that they add. A small overhead console of switches for parking sensors and garage door openers also contributed to the feel. All the switches are lit, and at night provide kind of an "airplane cockpit" feel. Seats are comfortable, at least for the front passenger and driver. Those in the rear have limited headroom and virtually no legroom. Even a small child will need the front seats moved a little forward, and the rear seating is limited to only two. The center area is taken up with an armrest sitting atop a large tunnel where the battery is located. I was comfortable in the driver's seat (the telescoping steering wheel helps); at 6' tall this would be the first car in 40 years in which I could truly say that. The dashboard screen in front of the driver has a great deal of information available, and part of it is user-configurable to present what is needed at any time. 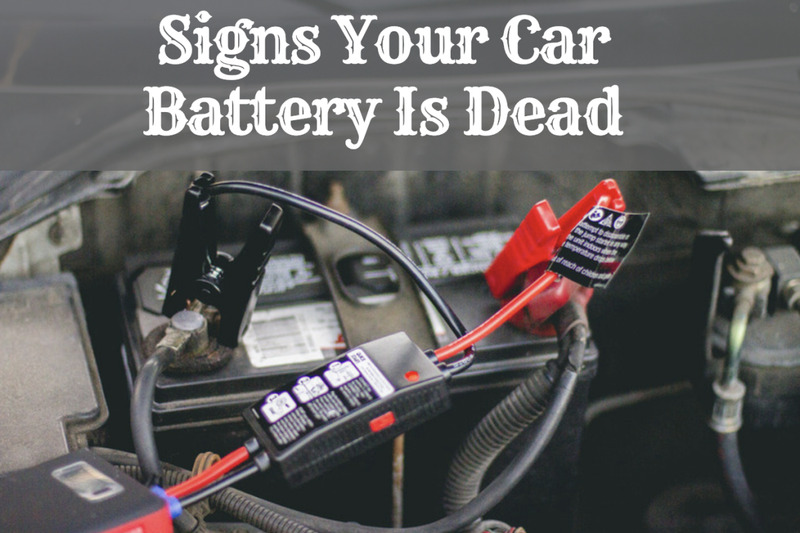 The normal readings include the amount of battery, gas tank level, speed, and such indicators as turn signals, cruise control, and seat belts. There is also an "economy" indicator telling the driver how she is doing economy-wise. We bought our car at a dealership some 400 miles from home, so our first experience was a long drive, where the car performed admirably. The route included several long 7% grades and climbing those steep hills didn't faze it at all; we barely knew we were going uphill. 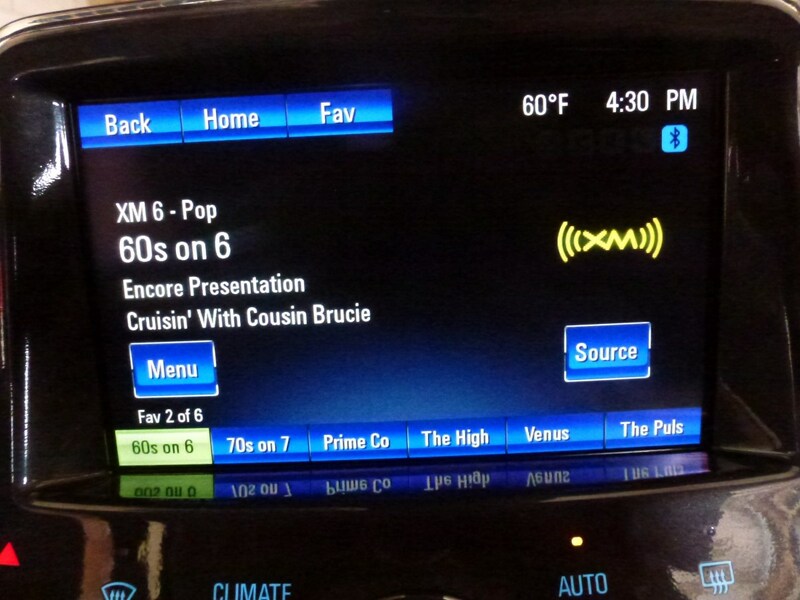 The car was comfortable on the long trip, and the Sirius radio was much appreciated. 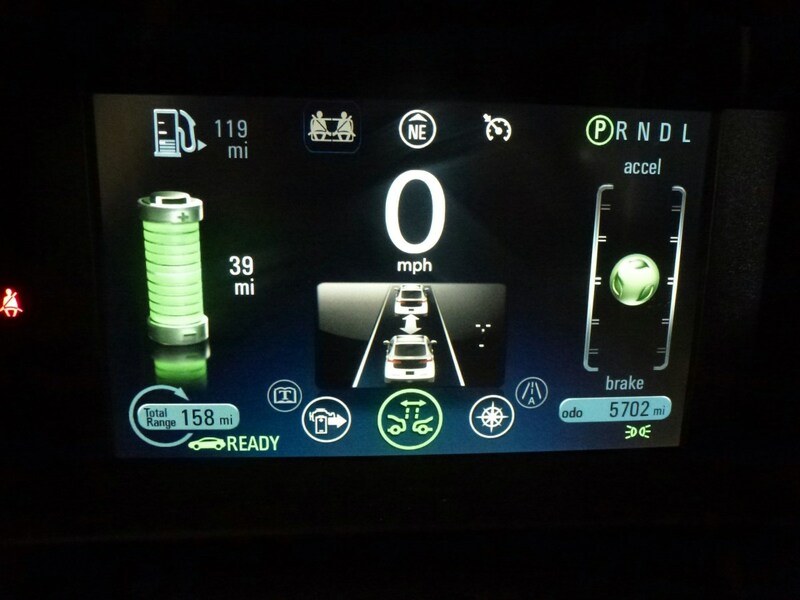 The Volt has automatic headlights that don't need to be turned on...unless in heavy fog. There we found that they would not come on, meaning no tail lights to alert following drivers, either. We had to turn on the lights manually. During that trip, the "mountain" mode was engaged, wherein the car will run the battery down about halfway and keep it there in case the car encounter hills where the smallish gas engine would be insufficient. Mountain mode works like a charm, and was a great idea from the engineers. Shortly thereafter we took a trip into snow-covered mountains, where the traction control proved invaluable, far superior to that offered by our old Prius. We had no trouble even in deep snow and slush where we drug bottom. Again, we were very pleased with the performance there. It has taken a while to learn the controls, particularly for the radio and heater and such as they are not very intuitive, just seemingly randomly located "buttons" on the center console and the touch screen. Nevertheless, we did learn them, and they no longer offer any problem. The options on the car are quite customizable, and that is a feature that is nice. For instance, the door locks are now set to automatically lock the car when shifting into drive or when leaving the car, and unlock when shifted to park — no more leaving the car unlocked in the parking lot, and no more having unlocked doors with children in the back seat. There is even a button on the drivers door to prevent the kids from unlocking the door (or playing with the power windows). 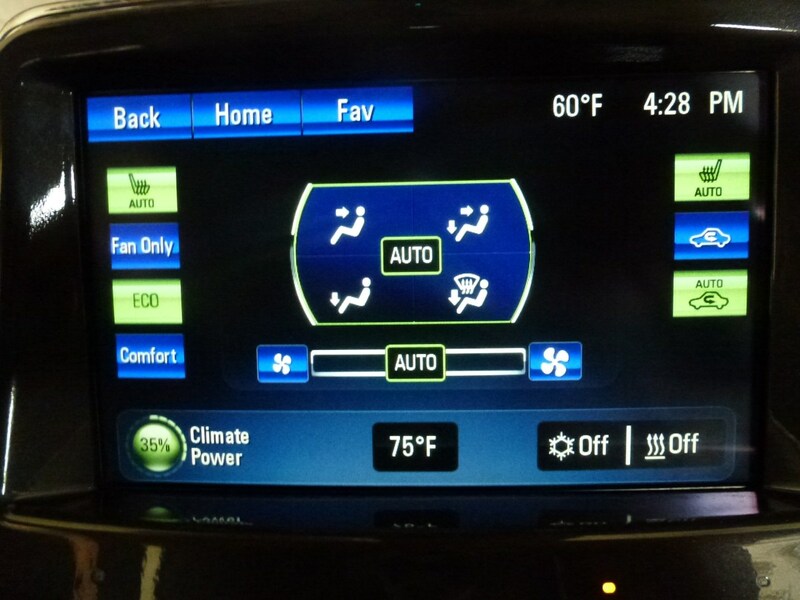 The heater controls are usually left on "auto" and in the "eco" mode; while this leaves the car a little cool on cold days, the heated seats make up for it. The rear storage room is better than expected, and we commonly put $300 worth of groceries in the area. 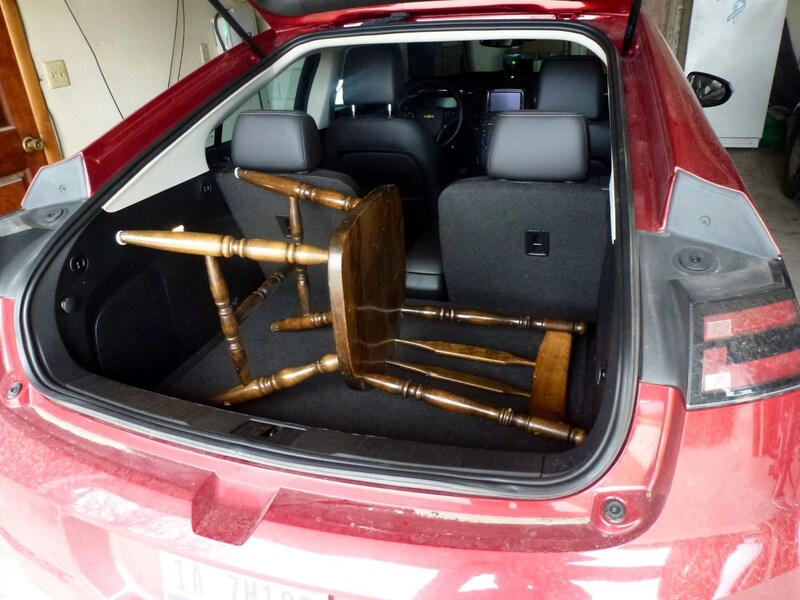 The back seats don't fold flat, though, which will hurt if large objects are ever carried. They fold down, yes, but not completely flat. Noise. The noise level has to be mentioned. There isn't any. This car is very nearly as quiet going down the road as sitting still. A trace of wind, a small amount of road noise, and that's it. No engine noise at all, because it isn't running the engine! Of course, when it does come on you can hear it (barely) and feel the vibration (barely, if you pay close attention). I love that - that riding can be that quiet and peaceful. 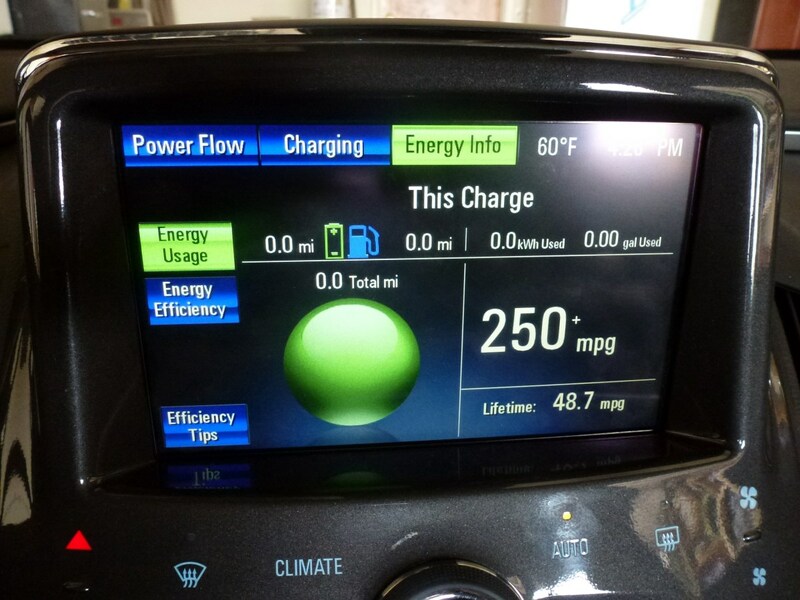 Putting the car into "sport" mode makes a difference in the Volt, and a big one. Acceleration doubles or triples, instantly, and it becomes fun to drive in a way our Prius never was. Shifting into "low" is a change as well, and won't hurt anything as there is no real "low gear" to be shifted into. It just re-writes the instructions to the computer for the gas pedal and brake, engaging the regeneration feature to a considerably higher degree. One option I found very useful is the Parking Assist. While the Volt won't park itself, it will let you know when you are too close to something on either side, front or rear. As forward vision is limited to the windshield wipers (the entire hood and bumper area are hidden from the driver), this is valuable. The Volt also has a backup camera as well, one that works well in the dark, and is a welcome addition to anyone with children. There is no rear window windshield wiper, which I thought rather surprising. It is not a major deal, but I did feel there should be one. Other than that, the only real complaint we have is rear seat capacity. Even my 7-year-old grandson asks me to move the drivers seat forward when he rides with us, and there are only seats for two in the back. I have to be sure to duck my head when getting in the front, and to get in the back was even worse. The Volt is a 2-person car that can carry four if necessary, but that back seat just won't cut it for long trips unless the front seat passenger and driver are much shorter than I am. 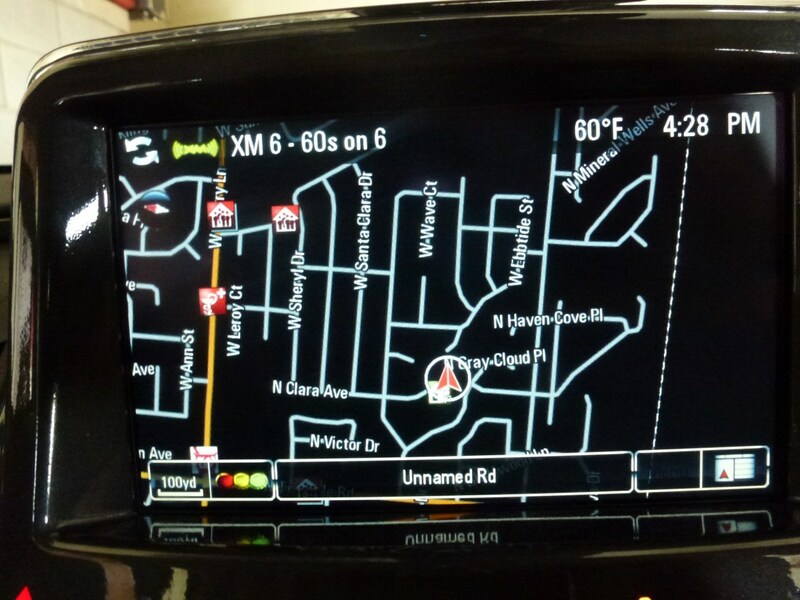 Above are shown several of the possibilities for the touch screen on the center console. 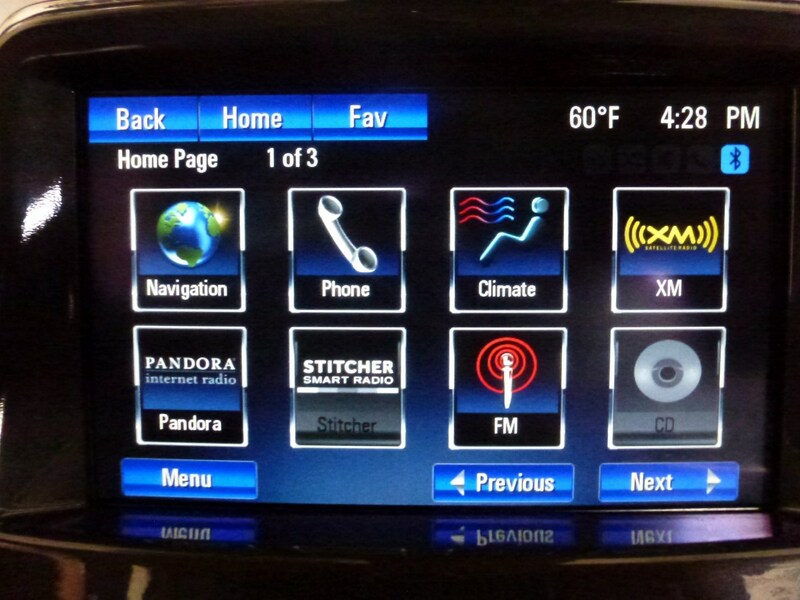 This is where you can choose optional settings including the Bose radio controls and climate control. Before we bought the car, we thought we might need to buy a home charging station for it, and that proved to be correct. The Volt can be plugged in and charged from a regular 120V outlet, but it is a slow process taking up to 10 hours. The charging station pictured below does the job in about 3 hours, which can make a huge difference when time is short. 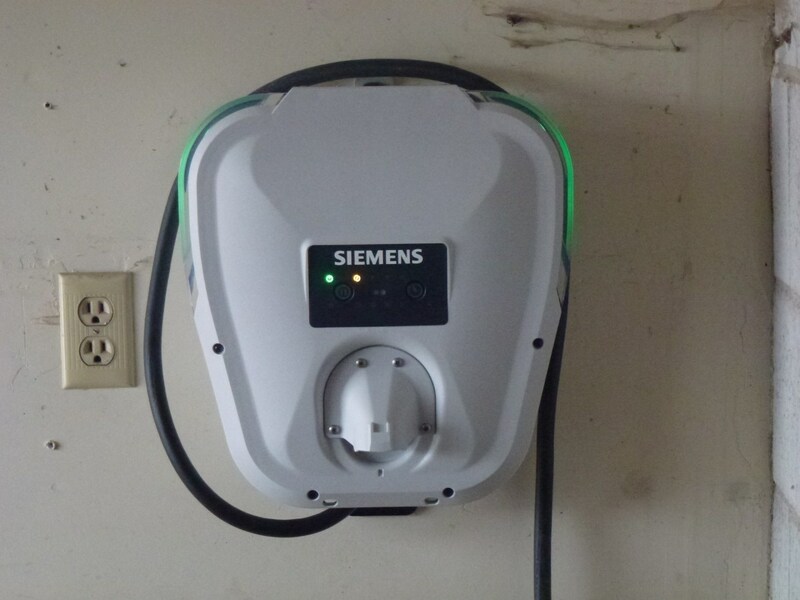 There are several EV (Electric Vehicle) charging stations available that can be installed in your home. 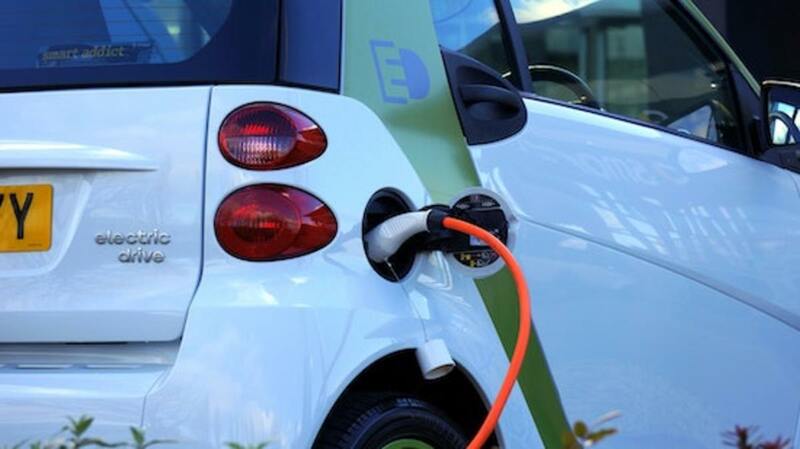 A nearly necessary item for anyone with a plug-in car, whether total electric or hybrid like the Volt, I would urge you to consider the purchase if you are interested in any plug-in vehicle. The link just above gives some options on types and pricing of what is available and shows how to install one in your own home. Another possibility to check on is a "time of day" electric rate schedule. This can save considerably on electricity costs, depending on where you live and what your daily schedule is. It has worked well for us, but does require some changes to be effective. Time-of-day pricing can cost you money rather than save, so check it out carefully before signing up for such a schedule with your local power company. 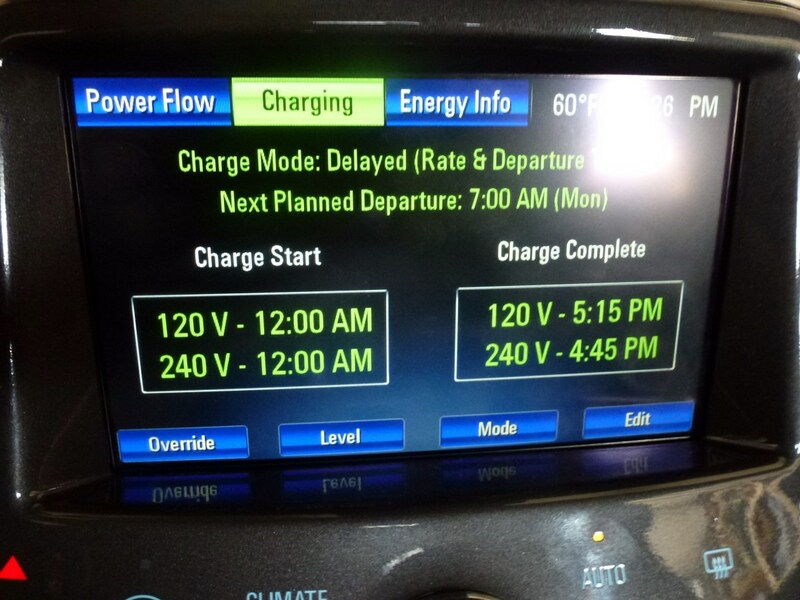 The Volt can be set to charge only during "off-peak" hours (as defined by the owner to match the power company's schedule) or by expected time of departure, which helps a lot. Plug the car in when you get home, yes, but it won't charge until evening when the rate goes down. Of course, that can be overridden at will, either with the remote fob or on the center console. On cold mornings you can also start the car while still plugged in, with the remote, and have a warm car to climb into without using battery charge. Back to the Volt itself: the 400-mile trip home, coupled with the mountain trip, showed that the GM estimates of 38 mpg is pretty close. I got almost exactly that on the drive home, with a little less through the mountains and snow. But that isn't why I bought the car: I wanted it for those short commutes around town. We have now driven nearly 2,000 miles since the mountain trip, all around town, and most trips were under the 38 mile reported range of the battery. We did find that that range is overstated, at least in the winter. 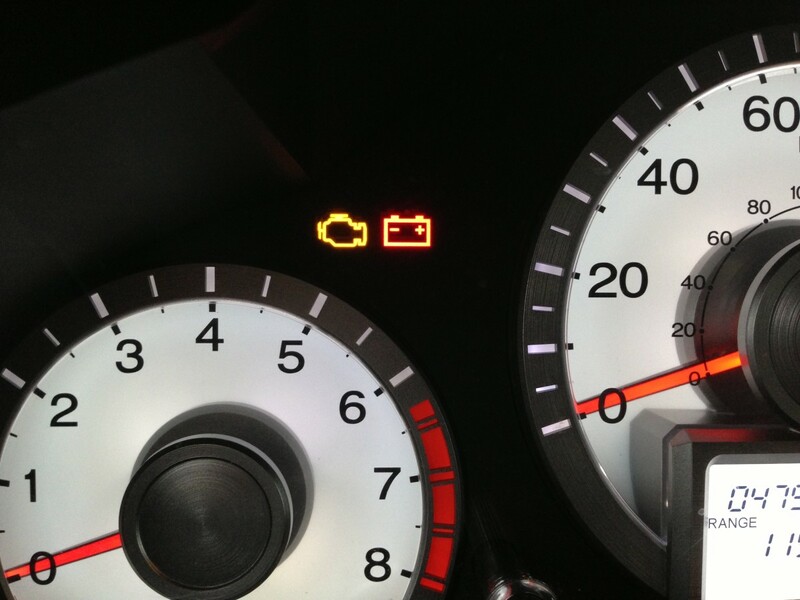 Using headlights, heater or AC, or even the radio will decrease the range, as it all has to come from the battery. My experience is that at temperatures below freezing, and mostly night driving, gives a battery range of closer to 34 miles than the 38 that GM says. Nevertheless, results have been very positive. Those 2,000 miles have cost less than a single (9 gallon) tank of gas (though that gas needs to be Premium, not regular grade) and I fully expect that to rise as freezing temperatures leave for the summer. But that does not mean that it's free; that electricity put in each night costs. When we went to "time of day" power schedule I expected to save some money, and that has proven true. We save around $20 per month, and estimating how much of the bill goes into the car tells me that we are spending about $15 per month to drive those 2,000 miles. The electric part of the operation is thus free, paid for by modifying our lifestyle slightly. That leaves just the single tank of gas to drive on, and at $3 per gallon that is only $27. 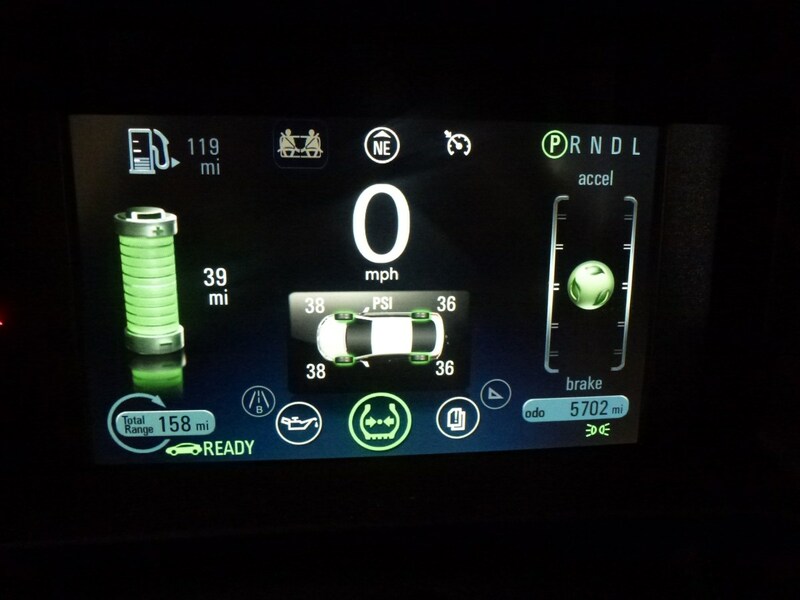 Compared to a more normal car getting 30 mpg for 2,000 miles, and costing $200 to do so, the Volt represents pretty good savings, and I expect to do even better as we learn more. It won't pay for the car (no manufacturer can make that claim), but it can be significant, if your driving needs are in short trips. If the miles you put onto your car are mostly longer distances than the battery can accommodate, a better bet might be the Prius, getting 50+ mpg. There are other savings as well: with the engine seldom running, the requirements for oil changes go down. The car will tell you when to change the oil, with the maximum time being two years. Without a real transmission, repairs will be few and far between on that item. Braking is mostly via regeneration, without using the brake pads hardly at all, so a brake job will seldom be needed (our old Prius was similar, and after 106,000 miles the brakes were still in good shape). The car will use gas, even if not necessary, after a period of time. At about 9 months it will insist on running the old gas out and re-filling the tank, as gasoline does go bad just sitting there, and it will run the engine some of the time when the outside temperature drops into the teens or lower. and if you can spend a few more hundred for a home charger. 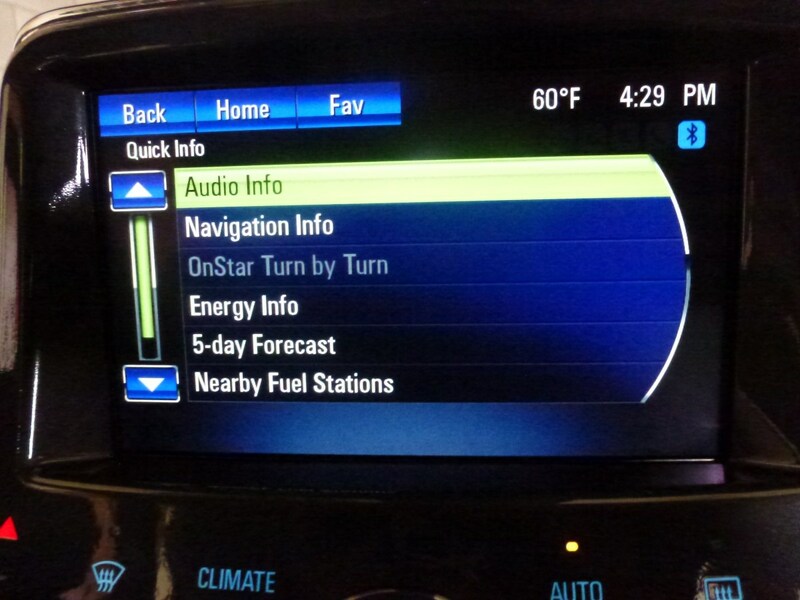 The Chevy Volt is a very nice car, with lots of highly appreciated options available, but it isn't for everyone. 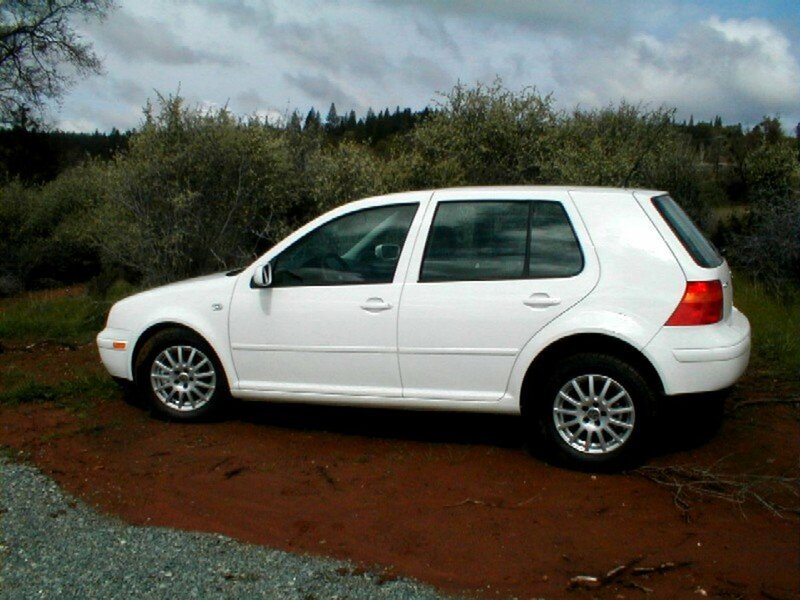 For a retired couple (which we are) that does not take it on long trips very often (which we don't), it is ideal. Comfortable, quiet and cheap to operate with lots of nifty "goodies," it fits our lifestyle nicely. Update: It has now been nearly three years since buying our Volt. Our lifetime gasoline mileage is showing 159 MPG and climbing, and we just had our first oil change at 22,000 miles. As the engine seldom runs, it keeps track for us as to when that oil change is needed, and we had it changed at just 5% of oil life left. We have been extremely pleased with the car, and would definitely buy one again. Our only negative remains the lack of room in the back seat, but we've learned to live with it. What is the best Plug-In Hybrid car available today? @Jack Lee: I've been pleased enough with the concept (and the car) to want another one. If Chevy doesn't produce another plug in with a reasonable range on battery, others are beginning to. Toyota has one now, very similar to the Volt. Now that GM has decided to stop production of the Volt, what are your plans? Jack Lee. Totally different driving experience. Silent and quick. It is not about the ROI, if it was everyone would be riding mopeds since they can get better gas milage and you would never recover the extra money you spent on a car. Also most of the charging I do is free, as I charge at work and a lot of free chargers on the road. 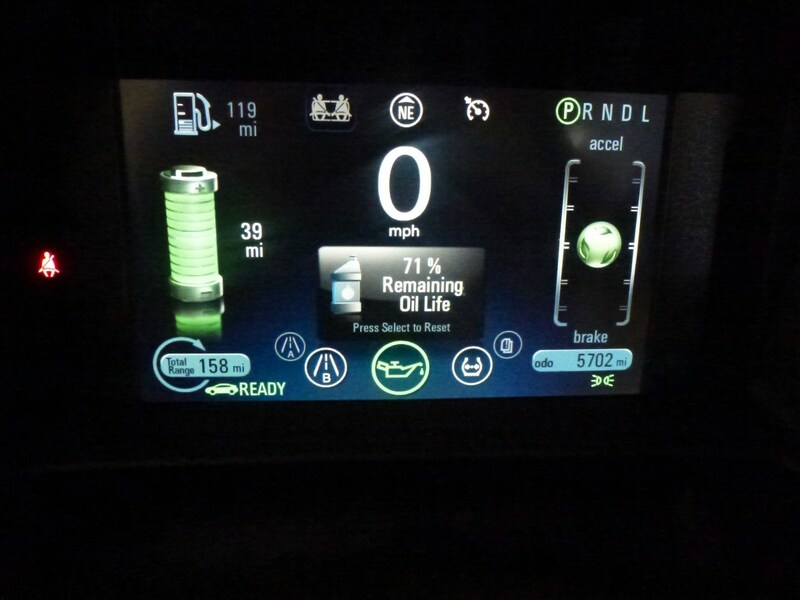 Driving a Prius or other little rattle box toy cars is a joke compared to the the Volt. Rides like a mid size luxury car, and is 1/3 the price. No I don't expect to have it 14 years. Maybe 7, maybe not. But another thing to consider (particularly for those on a fixed income) is the price of gas: will it again hit the $4 mark? At that price the payoff is much more reasonable. Thanks for the info. 7 years is a reasonable figure. Do you expect to keep the car for 14 years? 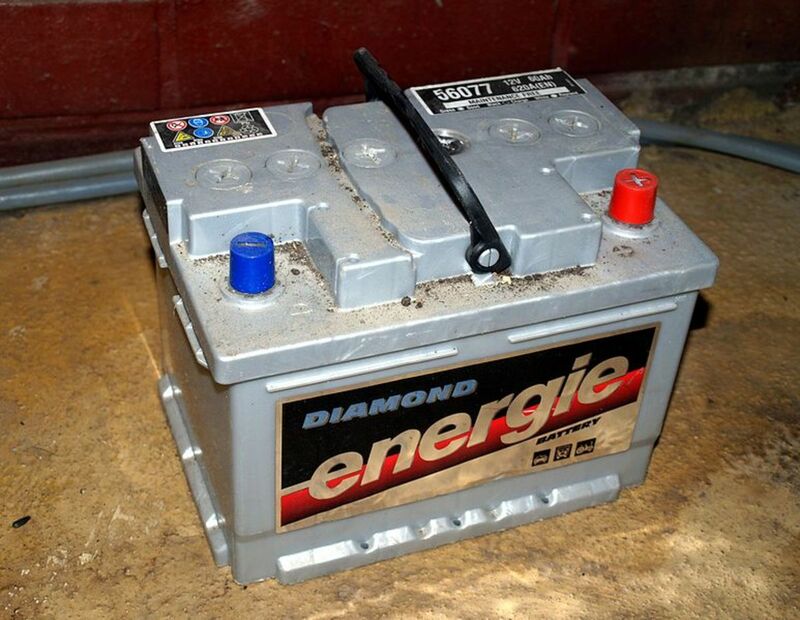 Most rechargeable batteries will not last so long. I hope it works out for you. Jacklee, it isn't really possible to do that. To be fair, one would have to compare pricing between the volt and another volt without either the long range battery or the whole hybrid setup, and there isn't such a thing. So we're left with a guessing game looking at other cars that aren't really very similar. The Ford Focus perhaps, fully loaded. In that case, the cost differential is somewhere around $7,000. The Focus gets 26/38 MPG - most of my miles are suburban, so figure 30. At 30 MPG vs 160 (lifetime average of the volt) and 12,000 miles per year at $2.50 per gallon, that's a difference of $800 per year. Adding in the savings in maintenance and repairs, perhaps a payoff in about 1/2 the lifespan of the car or around 7 years. For the typical owner, it will not pay off. For a retiree on a fixed income (me) it's really nice to know my travel is free in the future. And, of course, it's green and clean if that matters. Dan, just curious. Have you calculated the ROI on this vehicle? That is how many years will it take to break even compared to a regular gas version of a comparable car as the Volt? Taking into account the increased cost up front. Thanks for a first hand review of the car. It is hard to get real information among all the hype.